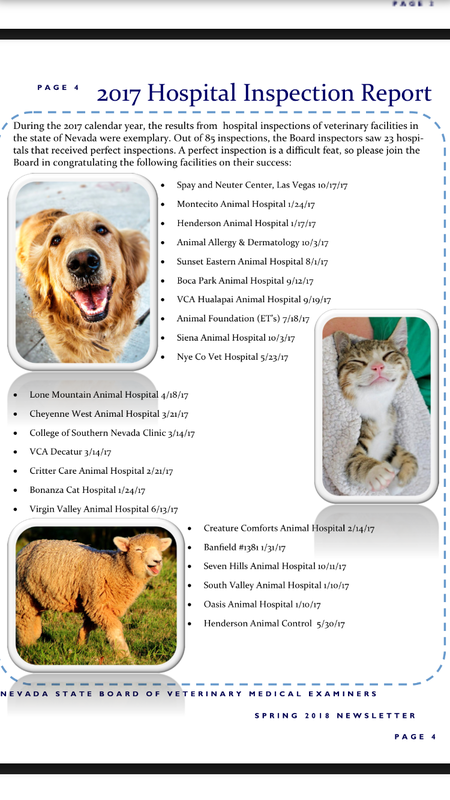 We specialize in affordable spay, neuter and vaccination services for the Las Vegas and surrounding communities. Our doctors and staff have perfected the art & science of performing spay & neuter surgeries and running a walk-in vaccine clinic. By conducting over 6,500 surgeries and administering nearly 50,000 vaccines every year, we have truly become the experts at what we do! Our walk-in vaccine clinic is open everyday! 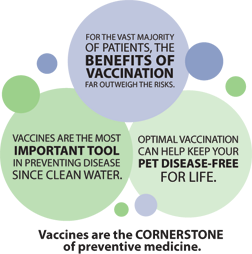 We offer low-cost vaccines, microchips, and a small selection of pet merchandise for your convenience. Affordability is important to us, so we never charge an office visit or exam fee. Because we are highly specialized, our operations are streamlined and extremely efficient. We minimize expenses through these efficiencies and pass on our savings to you! Feel free to take a virtual tour to see what you can expect. * Click here for more details on services!! View our office today. Click here to see pictures! Taryn C. Griffith, DVM, is a native of Michigan and graduated from Michigan State University, College of Veterinary Medicine. Landing an internship in small animal medicine and surgery, she relocated to Lawndale, California, to further her development as a veterinarian. Following her internship, Dr. Griffith went on to study veterinary cardiology for 12 months before entering the workforce full time. Dr. Griffith practiced general medicine in Southern California for several years before making Las Vegas home in 2011. Dr. Natalie Woo is an Arizona native and moved to Las Vegas at the start of this year. She grew up in Lake Havasu City, where her mom, Dad, and sister all continue to reside. She attended the University of Arizona in Tucson for her bachelor's degree and then received her doctorate of veterinary medicine in Fort Collins at Colorado State University. Tired of shoveling snow and slipping on ice, Dr. Woo quickly returned to Arizona and lived in Scottsdale/Phoenix. She practiced exclusive small animal medicine for the past 4 years, focusing on preventative care and surgery. Dr. 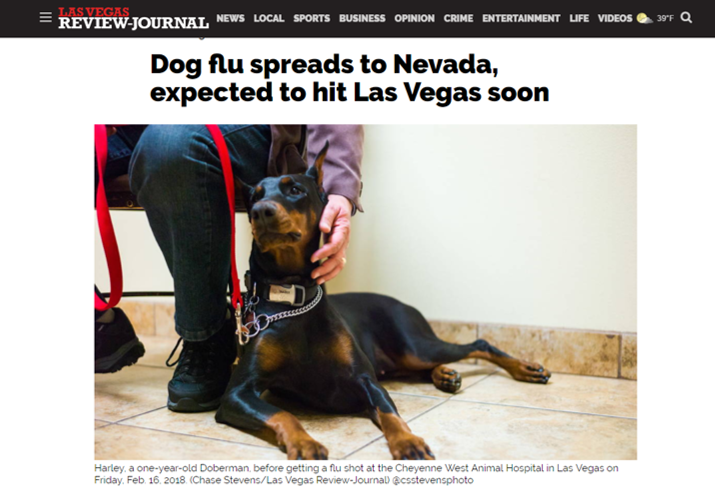 Woo was ecstatic to join the Spay & Neuter Center of Southern Nevada, where she could continue her career focus and build her surgical skill set. Outside of work, Dr. Woo enjoys traveling, boating, and sharing a pool float with her water Pomeranian, Bonnie. Dr. Griffin, originally from New Orleans, Louisiana, has been practicingsmall animal medicine and surgery in Las Vegas for the past 4 years. Hereceived his bachelor's of science degree and doctorate of veterinarymedicine from Louisiana State University. He recently joined the staff atthe Spay and Neuter Center and couldn't be happier to be here! In his sparetime, he enjoys travelling and spending time outdoors, typically hiking,biking, camping, or kayaking. He also loves spending time with hiscritters: Penny lane, a 10 year old lab mix, Luna, a 4 year old lab mix,and his two cats Ringo and Lucy, 10 and 9 years old respectively. I have been a Licensed Veterinary Technician since 2002. I was born and raised in Vermont, and moved to Las Vegas in 1998. I joined the Spay and Neuter Center team in 2009. I am a huge animal lover, and have a wide range of pets myself. Living in a large city, there is an extreme importance of spaying and neutering pets. I love working here and helping to control the pet overpopulation one day at a time. I was born and raised in Las Vegas, NV. I graduated from the Veterinary Technician program at CSN in 2006 and have been in the Veterinary field for 12 years now. I joined the Spay and Neuter Center in March 2017. I currently live with my husband and my fur babies. I’m a mother of three fur babies whom I love dearly. In my spare time, my husband and I love to try new restaurants, and yes, I am a foodie! I’ve been a part of the Spay and Neuter Center team since April 2013 and have loved every minute of it. I worked with the owner, Taryn Griffith at another clinic prior to this place and took the opportunity to work for her here right away. She is an amazing, loving person, and working for her has been an absolute delight. Knowing we are educating the public about the importance of spaying, neutering, and vaccinating their pet, is very rewarding. I am from South Pasadena, California and raised Las Vegas in. I’ve been a part of the Spay and Neuter Center team since February 2016 but have been in the veterinary field for 6 years. I have 1 beautiful Rottweiler mix named Betty that I rescued when she was just a few days old. Being in the Veterinary field has been amazing because I have always loved animals. I spend my spare time with my 2 wonderful kids, playing sports, and working out. Originally from Southern California, I moved to Las Vegas, NV in March 2017. I have been working in the Veterinary field for over 7 years and joined the Spay and Neuter family in May 2017. Even though I only have 2 cats, my friends will tell you that I am a crazy cat lady. I was born and raised in Las Vegas, NV. I joined the Spay and Neuter Center team in February 2016, but have been in the veterinary field for about 10 years. 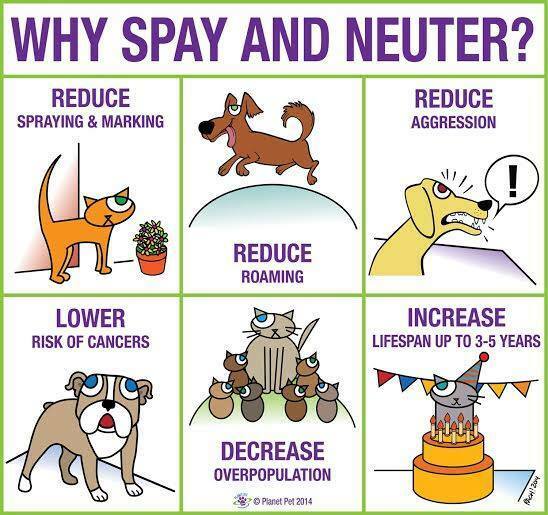 I have loved the Spay and Neuter team since I became a part of it! I have two pets: Ava, my 9-year-old Chow mix and Tina, my 2-year-old Chihuahua. In my spare time, I love to spend time with my kids, Kyle and Isabella, and my amazing husband. I was born in and raised in Las Vegas, NV. I have been in the veterinary field since 1997 and have been a part of the Spay and Neuter Center team since August 2014. I have two pets that I could never live without: Bast is my 6-year-old DSH, and Sophie is my 3-year-old Maltese Mix. In my spare time, I love to sing, dance, and play video games with my wonderful husband. I was born in Everett, WA and raised right here in Las Vegas, NV. I decided I wanted to become a part of the Veterinary field when I was 19 years old and in May of 2016, I joined the Spay and Neuter team. My fiancé and I have 2 cats named Lola and Daisy, and a lovable Pitbull named Stella. I grew up in Tarrytown, NY. I have been in the veterinary field for over 25 years and have been a part of the Spay and Neuter team for the last 4 years. I have four Border Terriers; Harris Tweed is 16 years old. His son Hubble, is 9 years old. His grandson Kepler is 2 years old and the queen of the house Laci, is 12 years old. My passion is animals and staying mentally and physically in good health. My husband and I train our dogs and show them at AKC sanctioned events. I also enjoy horseback riding in both the English and Western disciplines and I swim every chance I get. I am from Los Angeles, CA and moved to Las Vegas, NV in 1995. I joined the Spay and Neuter Team on January of 2017 and it led me to finding the perfect fur baby, Marty, whom I adopted in July of 2017. This is my first veterinary job, but I enjoy being a part of this awesome team! I like to go hiking in my spare time. I was born and raised in Las Vegas. I have been a part of the Spay & Neuter team since February 2018 and am enjoying every minute of my first job in the veterinary field. I have a mischievous 1-year old cat named Coal. I recently graduated from UNLV in May and am currently looking in to graduate school options. In my free time, I enjoy yoga, reading, and spending time with my friends and family. I am a new Nevada resident. I have been in the Veterinary field for 3 years and I love everything that has to do with animals. At home I'm a mom of 2 dogs, 2 ferrets, a chinchilla, a rat, some water frogs and shrimp. My house is a zoo, but I wouldn't have it any other way. In my free time I love to read and travel. My name is Shirley and I have been with the Spay and Neuter Center since 2009. I originally came in as a patient from one of the many rescues that we partner with, and the staff loved me so much that they adopted me! I love to greet the patients as they come into the office. My favorite pastimes are eating and a catching a snooze whenever possible. I was adopted by Dr. Griffith when I was Very tiny in 2012. I had to be bottle fed. I joined the SNC family in November 2017. Since then I own the place. I make my presence known, I'm very loud and demanding. I love to drink water straight from the faucet. If any one is by the sink, I will be there in a heartbeat. Meeooowwww! "Thanks to the doctor and professional staff at the Spay & Neuter Center, I feel like you all truly love what you do!" "Thanks for the great peace of mind when I brought Oreo in. I know he was getting the best of care! Thanks so much . . . I trust my best friend in your hands! Thanks so much for all that you have done for us! You guys are the best--really!" "Dr. Brazil, thanks for making my life easy when it came to bringing Luke in to the see you! Although, I think he may have a crush! I am convinced it's a crush . . . or those treats are doggone divine! But how could any four-legged creature resist? I have seen a lot of vets in the past and your genuine love and care is truly rare." "Thanks for your loving and professional care for our newest family member! We appreciate you and your staffs' genuine concern. We feel like we have been treated as part of the family. Thank you so much!" "I think the world of the staff at the Spay & Neuter Center. Not only does the doctor and team provide the best veterinary care possible, but also unmatched personal service and of course lots of love! I trust you with my most precious posessions. "We have been extremely pleased with the caliber of care we have been provided. We always feel questions are welcome, and everyone spends whatever time is required to provide answers, whether we are in the office or just speaking on the telephone. The staff and Dr. Brazil make every effort to calm our fears while treating our pets in a gentle loving manner. We tell all our friends about the quality care we receive at the Spay & Neuter Center." "We were pleasantly surprised and happy with the care and surgery for our two babies. I must admit we were skeptical prior to coming in. You took wonderful care of Dolly & Teddy. Having you there by phone 24/7 was a great comfort. Your prices have nothing to do with the quality of work and wonderful customer service. Thank you!" Dolly, Teddy, Diane & Joe.